With our domain expertise, we are involved in offering a wide range of Flow Indicators Totalizer Model 1006. These are developed in compliance with the set industry standards to ensure optimum quality in the end product. The Indicators are suitable to be used with flow transmitters having high frequency output and known for programmable conversion factor. 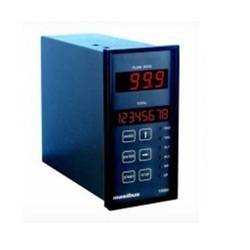 Our in-depth industry knowledge helps us to offer an extensive range of Flow Indicators Totalizator Model 1008V. These are known for advance algorithm, which helps in a mass flow calculation and used for calculation and data processing. 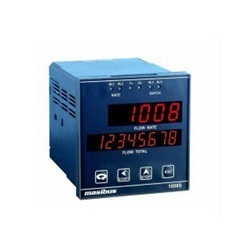 The Indicator has 8-digit totalizator with password protected resetting that provides exact and accurate results. 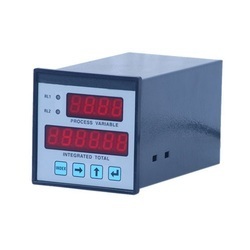 We manufacture and export a comprehensive range of flow indicators totalizator model 1008s, which is provided with selectable square root extractor. The built-in battery back -up equipped for tantalization memory, helps to avoid the loss of data in case of power failure. The indicators are designed to accept the input signal from flow transmitters and provide accurate results.